Pressure is the amount of force exerted on the surface of an object per unit area. Typically pressure measurements are useful when describing a fluid contained inside a solid structure. Blood pressure: Pressure exerted by blood on the surrounding vessel walls as it is pumped around the body by the heart. Airway Pressure: Pressure exerted on the airways as air enters and leaves the body. 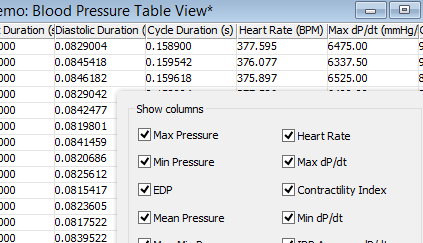 Pressures measured in these applications are typically a ‘gauge pressure’ which means measurements are taken relative to atmospheric pressure (as opposed to absolute pressure which is measured relative to a vacuum). There are a large number of different pressure units, the most common of which is mmHg (in life science applications). LabChart software is designed specifically for life science data and provides up to 32 channels for data display and analysis options that are powerful and easy to use. With auto-recognition of ADI and LabChart Compatible hardware, multi-window views,, one touch recording, simultaneous recording from multiple devices, specialized preconfigured settings, easy sharing options and an interface that can be customized to show only the features you want to use. 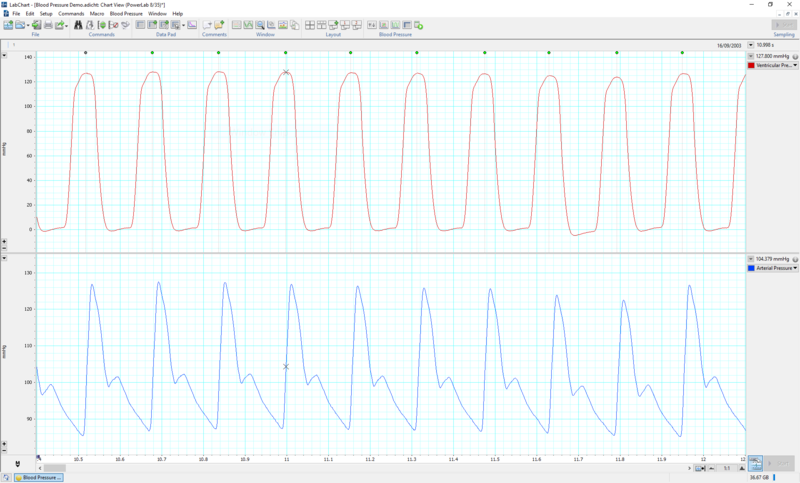 PhysioTel CONNECT enables direct communications between DSI PhysioTelTM small animal telemetry hardware and LabChart analysis software (Windows only). Thank you for your interest in Pressure. Please complete and submit the form below and an ADInstruments representative will aim to get in touch within one working day. If you’d like to speak to someone immediately, office contact information is available from the contact page.